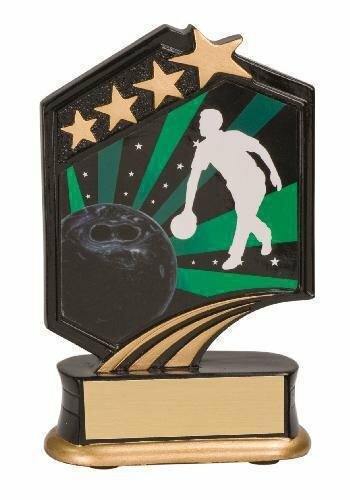 Our Graphic Resin Trophies series brings a new style of sport resin trophies presenting players in various sport in mid-action, hitting a home run, slam dunk a basketball, scoring a goal in soccer. 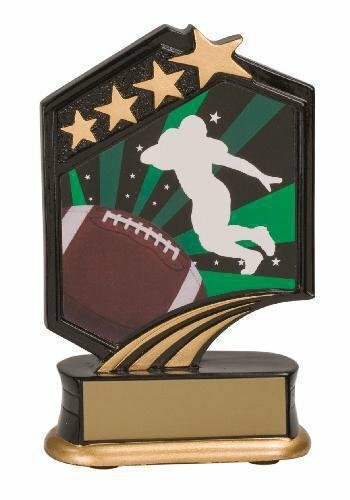 Simple yet exciting action resin trophies for your team. 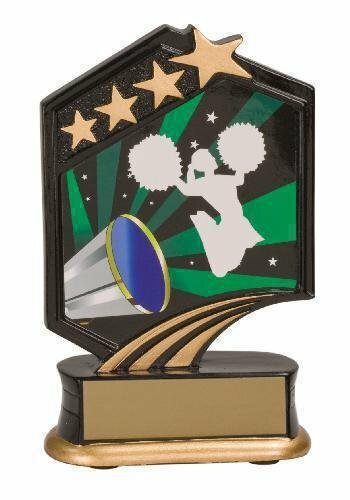 With a background of brilliant green and black accented by gold stars, this cheer scene resin is an eye catcher. Just add your personalized plate and you have a great trophy for awarding the stars on your team. With a background of brilliant green and black accented by gold stars, this football scene resin is an eye catcher. 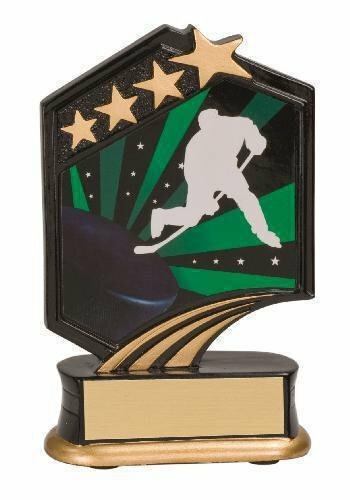 Just add your personalized plate and you have a great trophy for awarding the stars on your team. With a background of brilliant green and black accented by gold stars, this softball scene resin is an eye catcher. 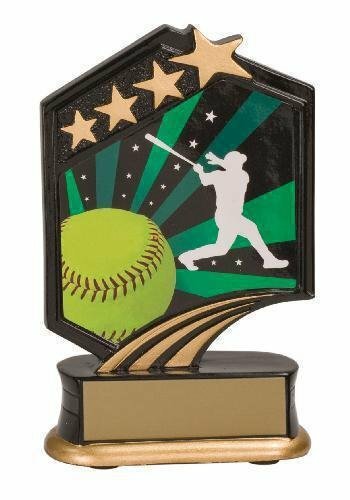 Just add your personalized plate and you have a great trophy for awarding the stars on your team.